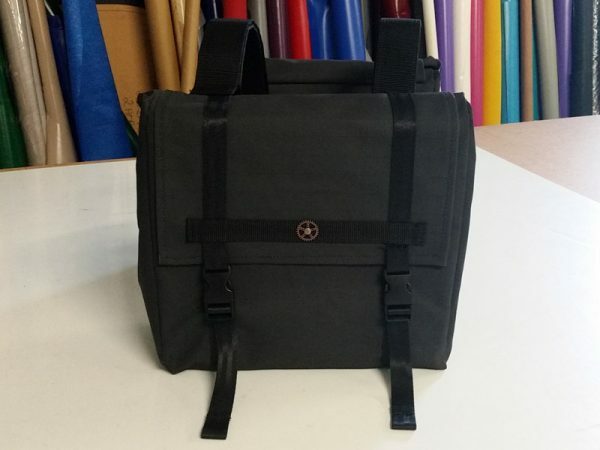 Our canvas motorcycle panniers are made from either extra tough ripstop canvas in a variety of colours. 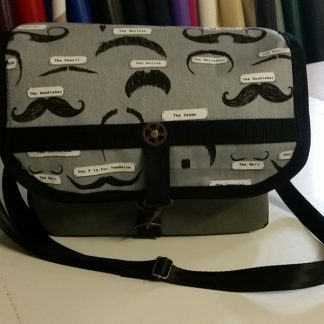 Our pannier sets are made in Australia from Australian made canvas. 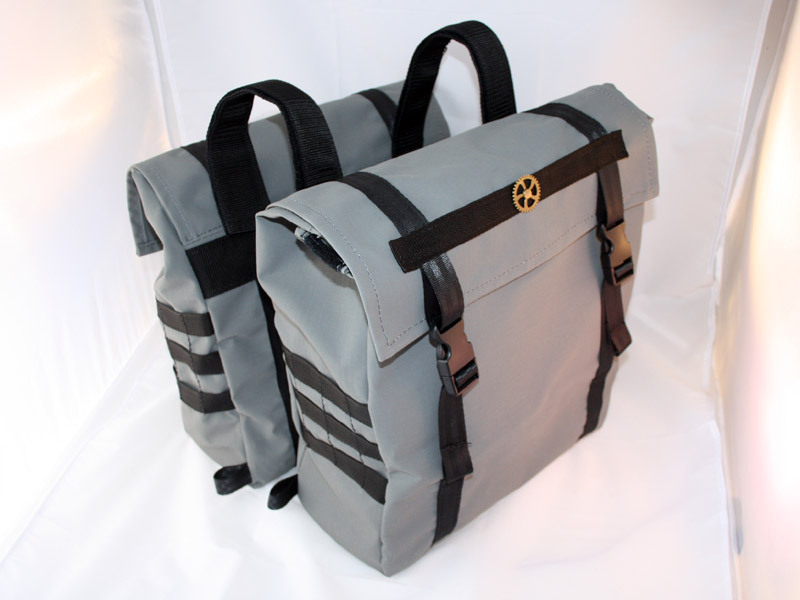 They are made as a throw over style pannier that are designed to be able to fit most motorcycles. 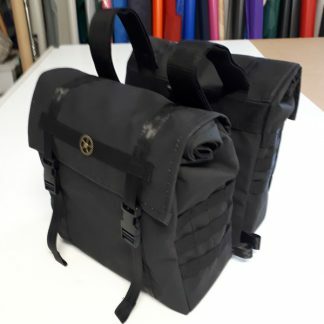 The straps between the two bags are adjustable wide hook and loop tape. 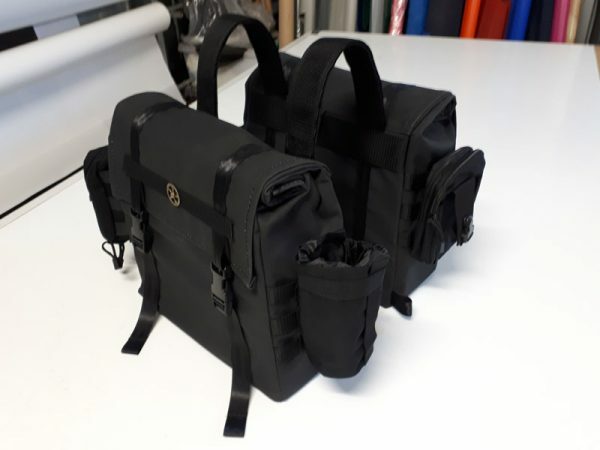 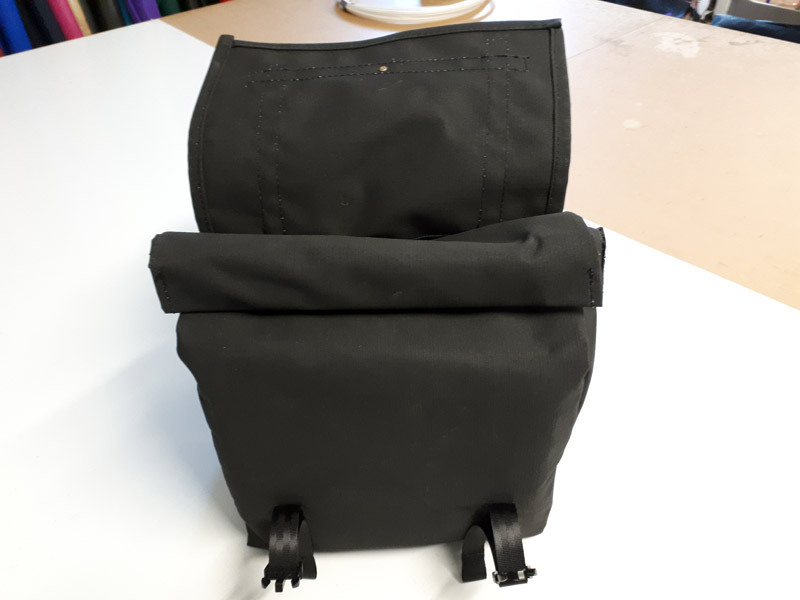 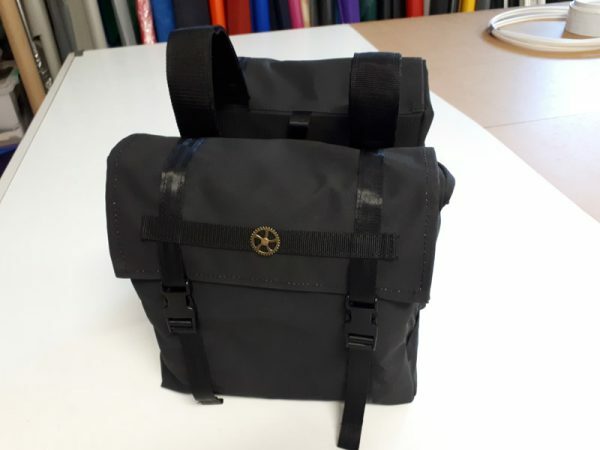 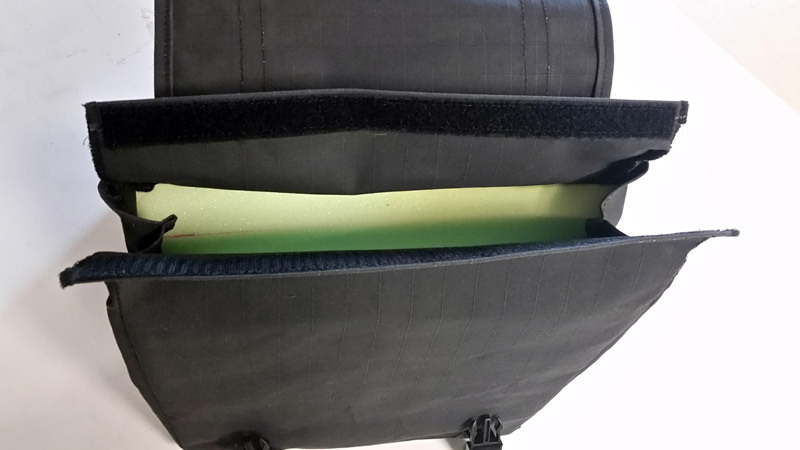 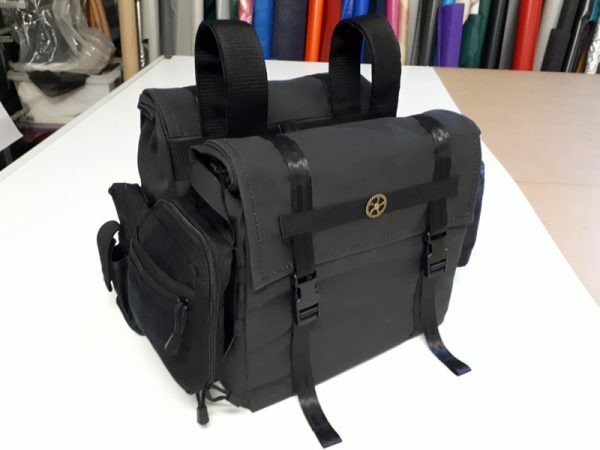 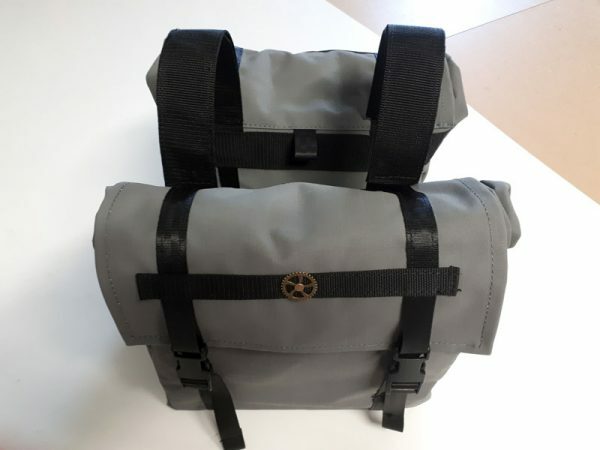 The bag seals via a hook and loop tape opening which then rolls or folds down before a large flap encloses the top assisting with water resistance and improving the style of the panniers. 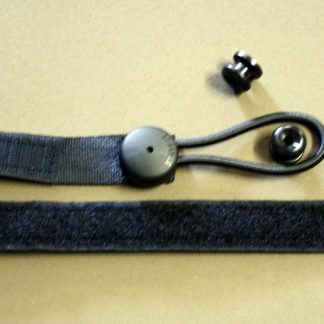 The flap is adjustable via side release buckles at the front. 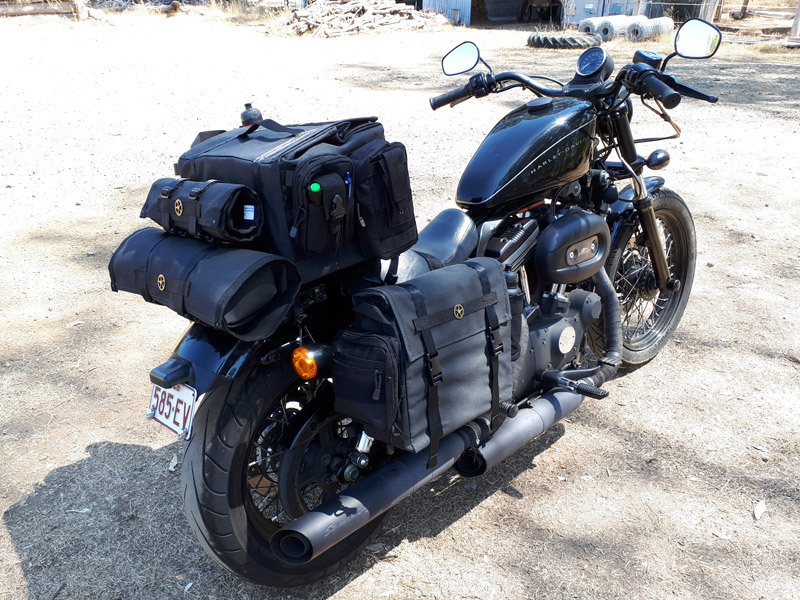 At the rear base of each bag are webbing loops that can be used in a variety of ways to assist in attaching the panniers to the motorcycle. 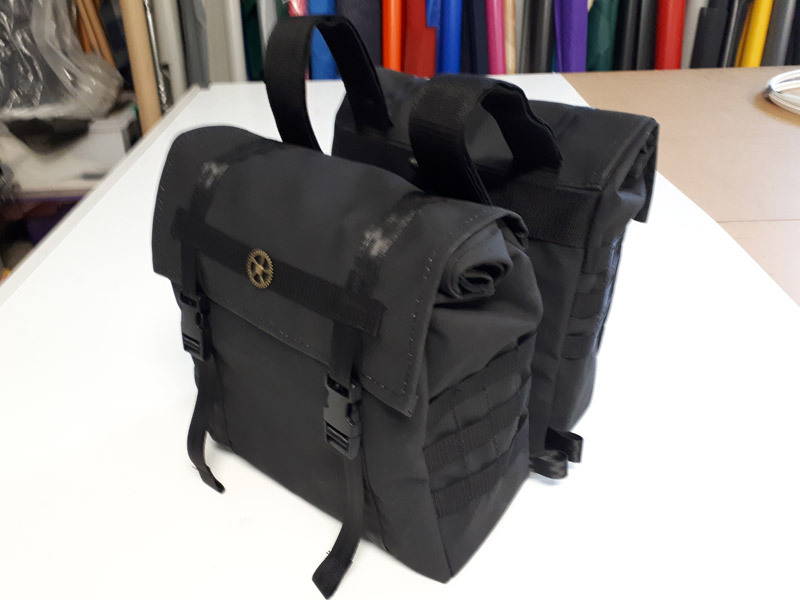 The latest version of our panniers has molle webbing strips on the front and back of the panniers that allows a variety of molle compatible pouches and accessories (not included) to be attached as needed. 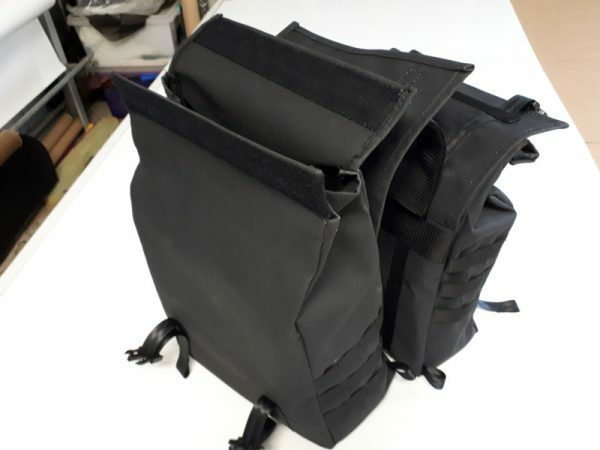 You can see our range of molle pouches here. 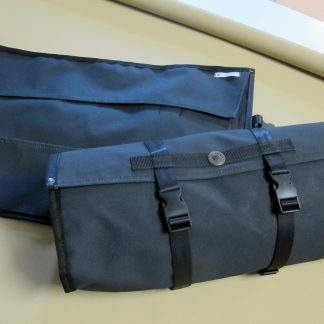 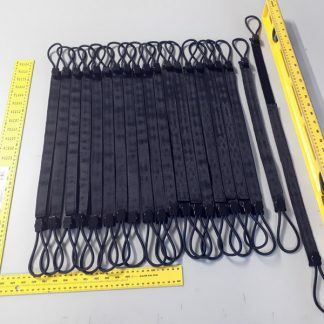 The dimensions of each bag are approximately 300mm (plus 150mm rolldown) deep, 350mm long and 150mm wide. 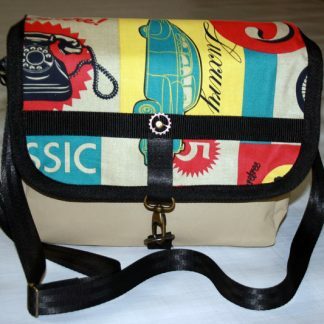 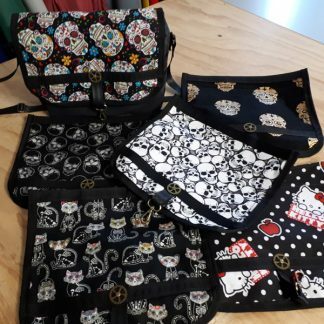 The adjustable straps between bags can be used up to 450mm wide. 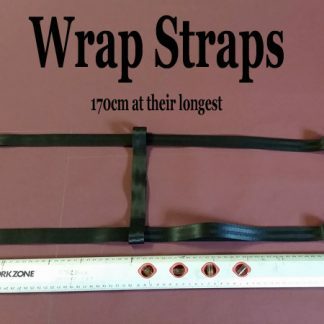 The space between the two 50mm straps is 150mm. 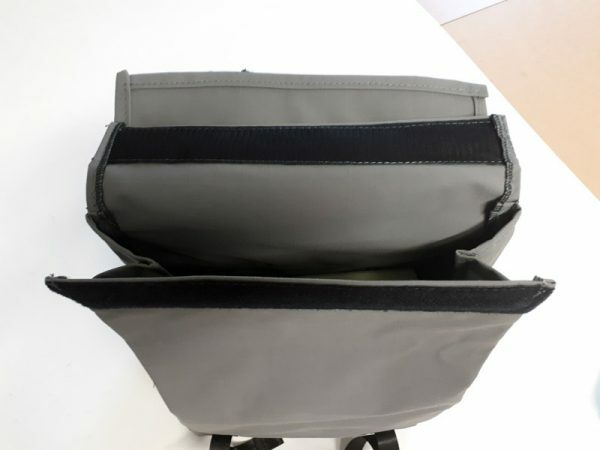 The volume of each side is approximately 15.5L plus rolldown space. 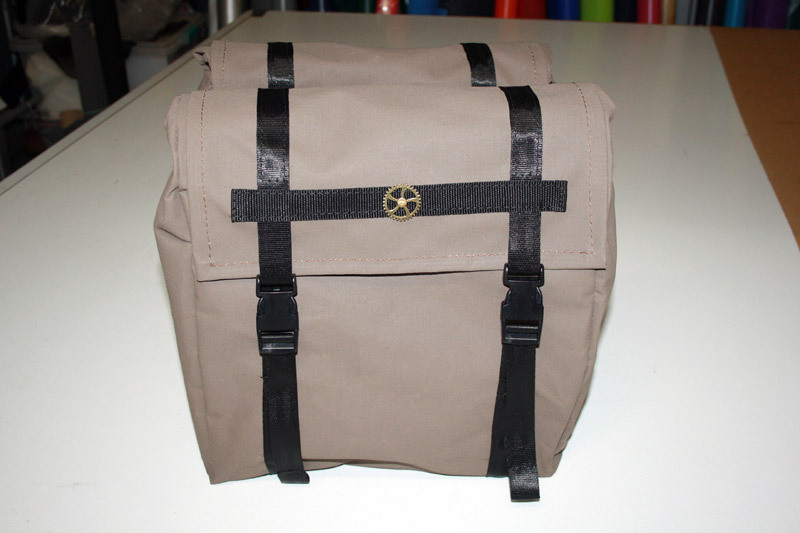 The motorcycle panniers (or saddlebags) are available in a range of rip stop canvas colours as below. 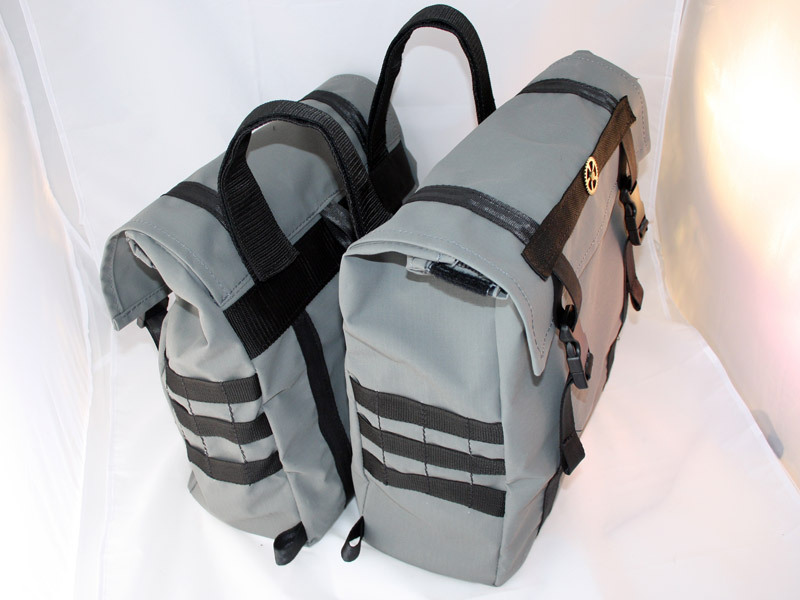 There is also an option to purchase a set of our Flat Straps with your panniers. 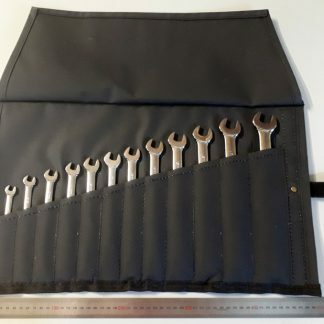 They can be used in a variety of ways. Some riders without racks use them behind the pannier if they need extra help making sure the panniers cannot hit the wheel. We have a two week turn around on all products but these in particular as we do not keep all of the colours in stock. 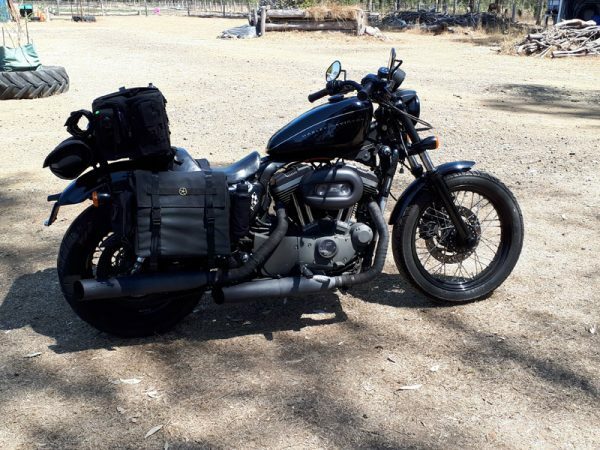 The price is for a pair of panniers / saddlebags.